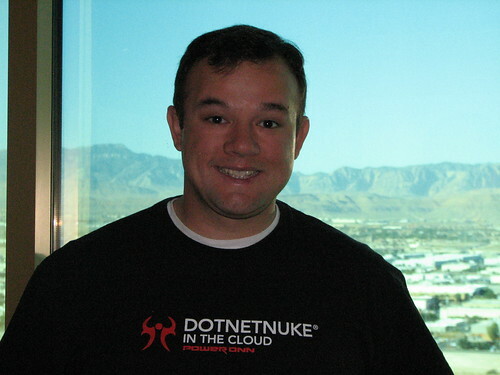 With everything going on leading up to DotNetNuke Connections, something that didn’t receive its due attention was Movember. If you’re not aware of what Movember is, Chris Hammond did a great job of explaining Movember to those of us who are less informed. Basically, for the entire month of November, men are encouraged to grow a mustache and get donations to help support men’s health, including cancer. This is kind of the men’s version of the women’s breast cancer movement. I am telling you about this for two reasons though. I would love for you to participate in any way that you can. This is a great cause! However, I have been blogging and doing things in the community for a LONG time. During this time, I really haven’t ever asked for anything in return. As of this blog post, this is no longer true. Please consider donating anything that you can to my Movember page. I cannot promise you anything in return for your donations, except that I will continue to do my best to give you the best DotNetNuke content that I can, through my blog, the DNN forums, twitter, and everywhere else that I participate.